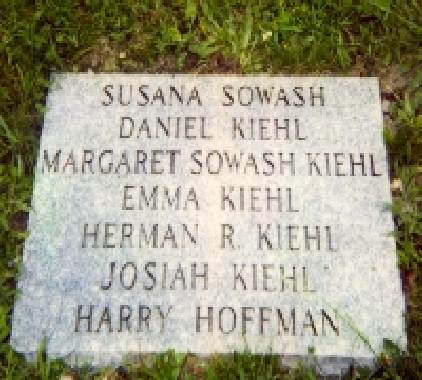 Erecting a stone on the mass grave of Susana Sowash (2C/W/) and several of her descendants - St. Clair Cemetery, Greensburg, PA. 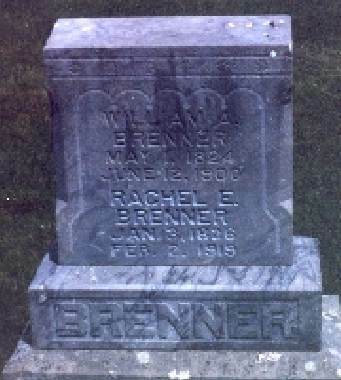 They were originally buried in Greensburg, but the cemetery was converted to a shopping mall. 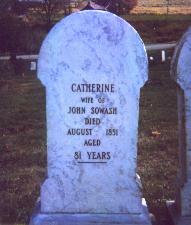 Erecting a memorial stone for Abraham Sowash (2C) next his wife Susana in St. Clair Cemetery, Greensburg, PA. His place of burial is unknown. Family stories tell that he was drowned in the Ohio River. 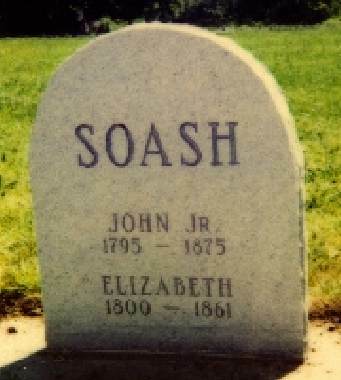 Replacing stone for John & Elizabeth Soash (1B) - Otsego Cemetery, Wood Co., OH. 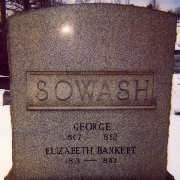 Engraving family stone for George & Elizabeth Sowash (1J) - Union Cemetery, Irwin, PA. 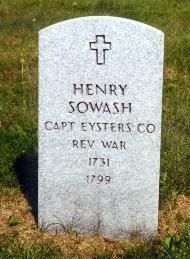 Revolutionary War stone for Henry Sowash - Brush Creek Cemetery, Westmoreland Co., PA. 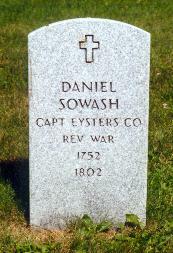 Revolutionary War stone for Daniel Sowash (2) - Brush Creek Cemetery, Westmoreland Co., PA.
Re-engraving the stones for Catherine Sowash (1/W/) and Elizabeth Sowash (1D) in Brush Creek Cemetery, Westmoreland Co., PA. These projects have been completed because of the generous donations of family members. With the active support of our family, such projects can continue at a rapid pace. Donations may be sent to Richard Soash, 7021 W. Sheriac Circle, Wichita, KS 67209. 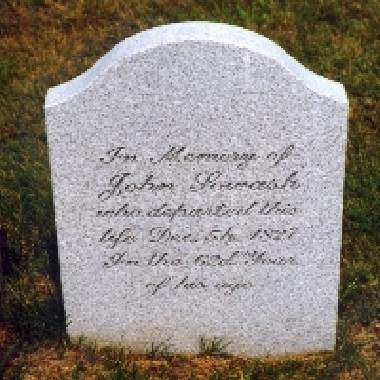 Marker for Johannes & Susannah Sauvage on their original Berks Co., PA. land purchased 1743.